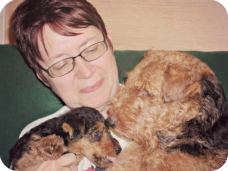 Carol Beuchat, PhD, vertebrate biologist and founder of the Institute of Canine Biology, is passionate about using information obtained through canine population genetics to breed healthier purebred dogs. Population genetics is defined as the study of allele frequency distribution and change as a result of evolutionary processes. In simpler terms, it is the study of changes in genetic diversity that occur both naturally over time and as a result of selective breeding. Carol is motivated by the increasing number of genetic disorders in dogs and is working with breeders to use population genetics to breed healthier dogs and to limit contraction of the gene pool of purebred dogs. 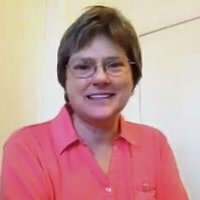 Carol offers virtual classes on population genetics through facebook, so if you are interested, connect with her there. She recently summarized her thoughts on why an understanding of population genetics is so important. 2) Every generation, alleles are lost by chance (genetic drift) and also by artificial selection by breeders who select for dogs with the traits they like and remove other dogs from the breeding population. 7) Breeding for homozygosity of some traits breeds for homozygosity of all traits. Homozygosity is the kiss of death to the immune system. And as genetic variability decreases, so does the ability of the breeder to improve a breed through selection, because selection requires variability. 8) The consequences of inbreeding (in all animals) are insidious but obvious if you look – decreased fertility, difficulty whelping, smaller litters, higher puppy mortality, puppies that don’t thrive, shorter lifespan, etc. Genetically healthy dogs should get pregnant if mated. They should have large litters of robust puppies, with low pup mortality. Animals that cannot produce viable offspring are removed by natural selection. 9) Mutations of dominant genes are removed from the population if they reduce fitness. Mutations of recessive alleles have no effect unless they are homozygous. 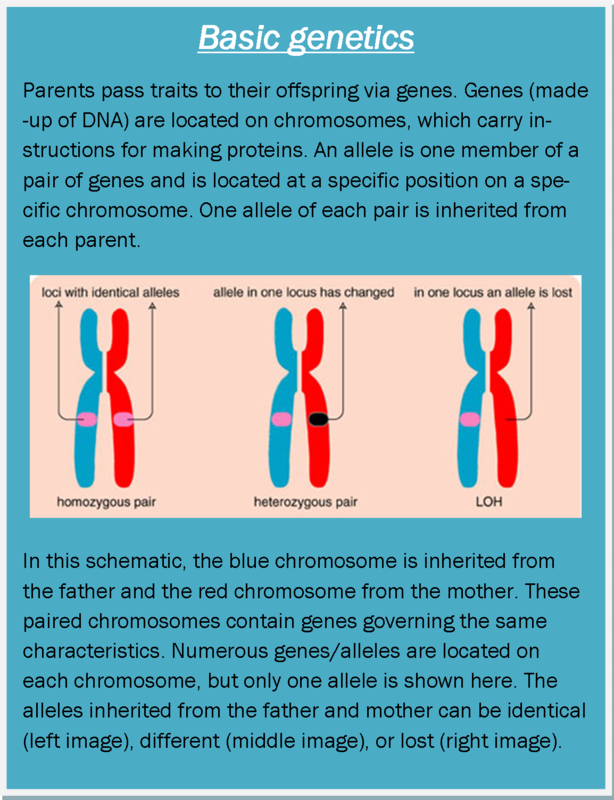 So rare alleles are not removed, they are inherited from one generation to the next, and every animal has them. Lots of them. 10) If you create a bunch of puppies from your favorite sire, you are making dozens of copies of all of the bad alleles in that dog (which were never a problem before; see 9) and spewing them out into the population. Now, a (previously) rare mutation will be common, its frequency in the population increases, and the chances go up that some puppy will be produced that is homozygous (has two copies of that bad allele) and homozygous recessive alleles are no longer silent. 11) So, genetic disorders caused by recessive alleles don’t “suddenly appear” in a breed. The defective gene was probably there all along. Make a zillion copies, and you have a disease. 13) The breed will continue to lose genes (by chance or selection) until the gene pool no longer has the genes necessary to build a healthy dog. 14) At this point, the breed might look wonderful (because of selection for type), but will suffer from the ill effects of genetic impoverishment (inbreeding depression, diseases caused by recessive alleles, increased risk for cancer, etc). 15) The only way to improve the health of a breed is to manage the health of the breed’s gene pool. 16) The health of individual dogs cannot be improved without improving the genetic health of the population. Population genetics provides tools for the genetic management of populations, and breeders CAN improve the health of the dogs they breed if they understand and use them.